Dr. Alberto Vergara is a professor at the Department of Social and Political Sciences at the Universidad del Pacífico (Lima, Peru). He received his PhD from University of Montreal and he was a Trudeau Foundation doctoral fellow. Previously, he was a post-doctoral researcher at Harvard University supported by a Banting Fellowship. Dr. Vergara has been a lecturer in Latin American politics at Harvard University and Sciences Po, Paris. 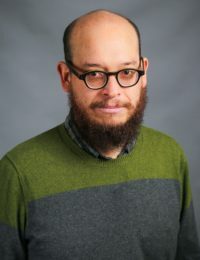 His research has appeared in the Journal of Democracy, Latin American Research Review, and the Journal of Politics in Latin America, among others. His most recent book is La Danza Hostil: Poderes subnacionales y Estado central en Bolivia y Perú (1952-2012) (The hostile dance: subnational powers and central state in Bolivia and Peru). He is the author of numerous non-academic essays and occasional pieces, many gathered in the book Ciudadanos sin República (Citizens without a Republic). Dr. Vergara’s work focuses primarily on representation, accountability, and subnational politics. During his fellowship, he focused on the Peruvian party “Fujimorismo” as a way to rethink the relation between democracy and political parties.